I’m in love with these breakfast burritos. 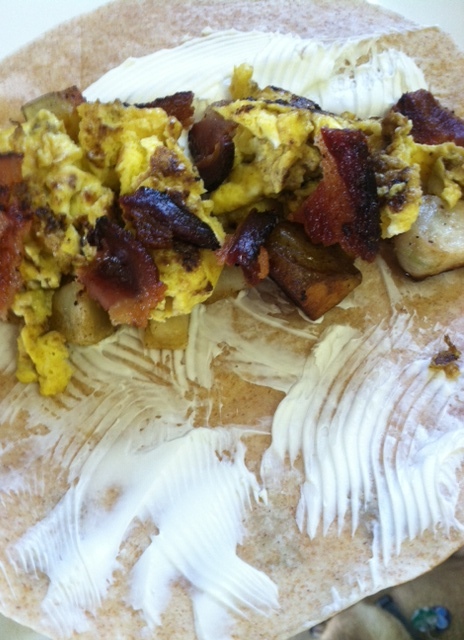 There’s something about the combo of cream cheese, eggs, potatoes, and bacon. Yum. And they make the perfect breakfast on those crazy mornings when you have to get everyone out the door in 30 minutes or when you wake up to realize you have no milk. . .
1. Cook the bacon in a skillet. Then let it drain on paper towels. 2. 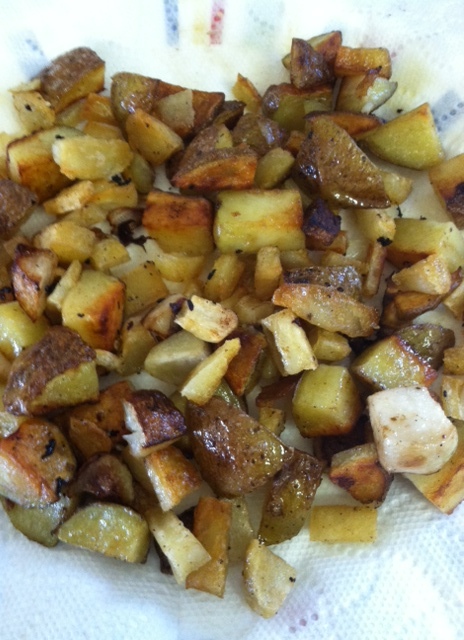 Add the diced potatoes to the skillet. You can cook them in the bacon grease for extra flavor. Cook about 5 minutes on the first side or until they turn brown and crispy. Season them with salt and pepper (and garlic powder if you want) while they are cooking. Wait until they brown on the first side and then flip them. Cook for another five minutes or until brown. 4. Time to assemble some burritos. First, smother cream cheese onto the burrito. 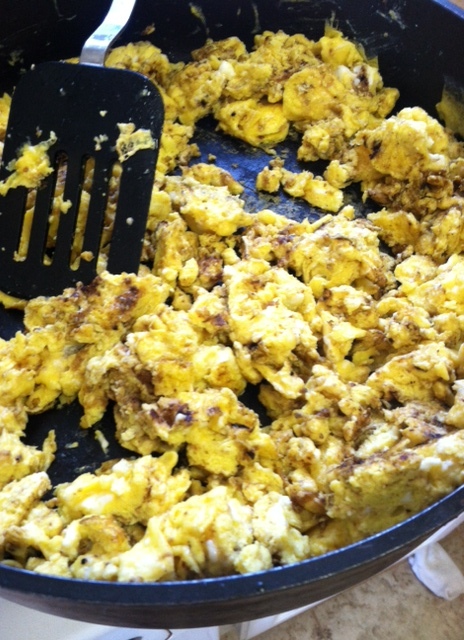 Then add about 1/4 c. eggs, 1/4 c. potatoes, some crumbled bacon and roll it up. 6. Throw the leftovers in a ziploc bag and reheat when you need something yummy in a jiffy. Hmm. Jiffy-what a funny word.